A leak is a nightmare for all those involved – amassing massive costs and possibly halting work. Here at Sage BEC (formerly Sage Roofing) we’ve seen just about every cause imaginable – and we know how to fix it, down to the last drop. It’s usually simple to identify the leak, it is much harder to complete the repairs to the quality necessary to prevent it happening again. To do so, we’d recommend hiring a skilled and trusted contractor (hint hint). Drainage systems for flat roofs can encounter drain blocks. The water can then form a pool – this then adds additional strain to the roofing system. This is a common result from clogged drainage and quickly becomes worse over time. It’s important to act quickly to keep costs down. The roof can then be repaired instead of completely replaced. Roof penetration objects are any that puncture roof’s membrane. These include things like pipes and anything else that punctures a roofs membrane. Anything that does this is vulnerable to leaks and must be secured properly to make sure the roofing system itself is protected. Every single one needs to be checked meticulously to ensure there are no leaks. As roofing membranes age, it will potentially split or tear – allowing water to come through and exposing the vulnerable layer. It’s very important to keep the membrane in check. 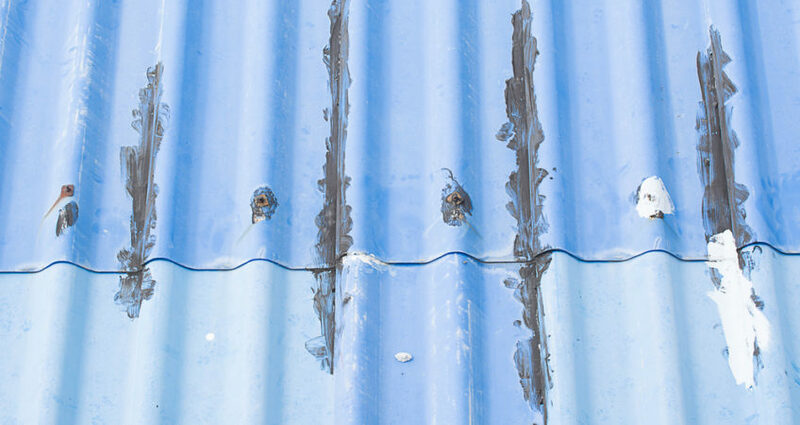 After a certain period of time – roof naturally decays. If a combination of the above is diagnosed then it may be time for a complete replacement. Sage BEC are here to resolve any of your commercial roofing repair needs. Contact us now if you’re suffering from any of these issues and you can keep costs down by getting repairs instead of a replacement roof.